The beach state of India, Goa, is one of the most popular sought-after travel destinations. The Goa Weekend Tour Package offers a relaxing happy go lucky trip you can cherish for the rest of your life. The serene beaches, the colonial influence on lifestyle and buzzing nightlife are the major attributes that make Goa a favourite. The lifestyle and culture of this amazing place will mesmerize you. After a long week, this trip will rejuvenate you and provide you with that necessary break from the monotonous lifestyle. 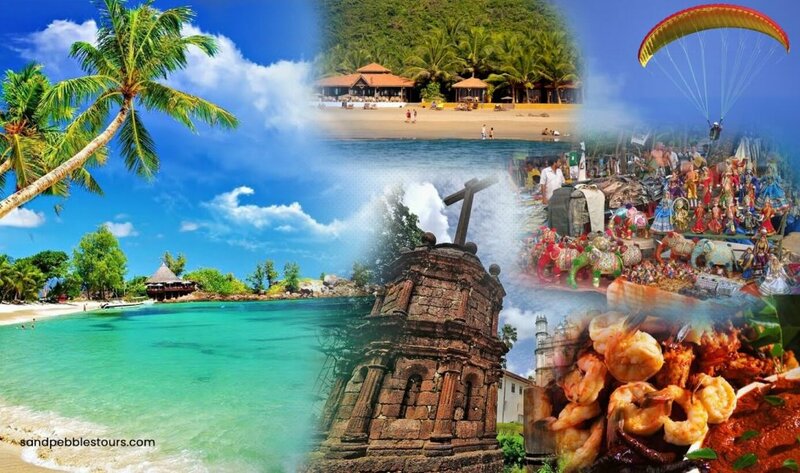 Goa Weekend Tour Package will sort the weekend out for you. Goa is an ideal getaway for travellers looking for a destination to enjoy a relaxing and exciting vacation. The destination is also a preferred destination honeymoon. The option of water sports is also available at a few beaches. The nightlife is also a major attribute that makes Goa a happening destination. Goa Weekend Tour Package gives you the opportunity to give yourself a much-needed beach therapy under the shimmering sun and live the nightlife on your own terms. In fact, It’s not just about the beaches, exotic landscapes, the Arabian sea and glorious sunsets. Visit Goa to see it yourself with the Goa Weekend Tour Package. You will be amazed by the history, culture and the traditions that are influenced by centuries of Portuguese rule and central role during the golden age of spice trade. Visit Goa to rediscover yourself. Arrive at Goa, Dabolim Airport/ Madgaon Railway Station and transfer to Resort. On Arrival check-in to Resort followed by Non-Alcoholic Welcome Drink, Fruit Basket. Dinner at Resort. Breakfast in Resort followed by touring North Goa‐ Baga Beach, Calangute Beach, Fort Aguada, Sinquerim Evening return to Resort. (9.00 am to 6.00 pm). Dinner at Resort. Breakfast in Resort followed by the tour to South Goa‐ Big Foot, Spice Garden, Shanta Durga Temple (Ponda), Sri Mangueshi Temple ( Ponda ), St. Francis Xavier Church (Old Goa), Miramar Beach, Dona Paula Beach – Boat Cruise( optional). Evening return to Resort(9.00 am to 6.00 pm).Dinner at Resort. After breakfast, transfer to Dabolim Airport/ Madgaon Railway station for onward journey.